Otter Bottle Water Bottles - Choose Your Style Only $5.99 Plus FREE Shipping! You are here: Home / Great Deals / Otter Bottle Water Bottles – Choose Your Style Only $5.99 Plus FREE Shipping! 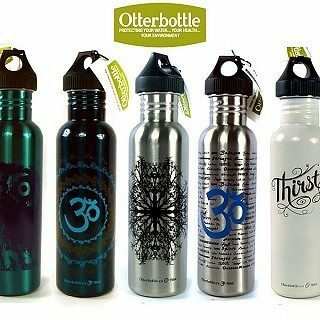 Otter Bottle Water Bottles – Choose Your Style Only $5.99 Plus FREE Shipping! Otter Bottle water bottles are BPA Free, toxin free and will not absorb harmful chemicals. The smooth interior surfaces leave no place for bacteria to form so they will stay clean and all you’ll taste is pure, clean water! Keep your body hydrated with the Otter Bottle Water Bottles – Choose Your Style Only $5.99 Plus FREE Shipping!